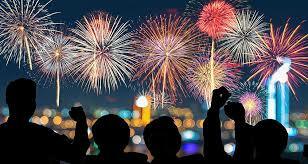 Park in “town” and walk down to watch the fireworks at Gellatly Bay on Friday, June 30; please also consider carpooling. That’s the message from the City of West Kelowna, which will close Gellatly Road to vehicle traffic from the yacht club exit to Boucherie Road, starting at 8 p.m. and lasting until approximately midnight, to accommodate the crowds expected along West Kelowna’s waterfront to watch the 15 minute spectacular starting at 10:15 p.m. on the eve of Canada’s 150th Birthday. With fireworks postponed in Kelowna, the Gellatly Walkway closed for repairs, and Canada celebrating a milestone birthday, City of West Kelowna staff want to ensure the area can accommodate extra crowds. Beginning at 8 p.m., Gellatly Road from the bridge over Powers Creek to the intersection with Boucherie Road will be closed to vehicle traffic, the section will be cordoned off with barriers and staffed at both closure points. Closures will remain in place until crowds vacate the area (approximately midnight). Those catching the show are advised to park in the Westbank Centre area or at Johnson Bentley Memorial Aquatic Centre (JBMAC) and walk down via routes such as Gellatly Road. A section of Gellatly Road, which is currently closed to vehicles from Witt Road to the intersection with Boucherie Road, will be open to pedestrians only and lighted on Friday evening to accommodate those walking down from the Westbank Centre and JBMAC. Emergency crews will be parked on Gellatly Road at approximately 8:30 and will remain until pedestrians have vacated the area. Boaters are reminded that Gellatly Bay is a wake-free zone due to high water and floating debris in the lake. Fireworks are being launched from a barge in the lake and vessels will need to keep away from the launch area.